Hot Button Week Four - "Saving Grace" or "Is There A True Religion?" This is the fourth and final week of the most challenging sermon series I have ever preached. It seems fitting that we would end it with a sermon on a grace-filled response to the issue of True Religion. I discovered a couple of years ago to my amusement, and slight dismay, that there is actually a clothing company called "True Religion." This is an ironic fact, considering how Consumerism and Materialism have become neo-religions in and of themselves complete with temples, (malls), vestments (fashion/clothes), priests (designers/marketers), missionaries (stars/artists) and adherents (consumers). That, my friends, is an entirely different sort of sermon. One of the great tools that the Fellowship of Presbyterians is providing to churches and pastors is the Narrative On The Health Of Mission And Ministry. The foundation of this document was used by the Presbyterian Church in various settings until the 1920's to evaluate members, and fell into disuse because of various questions that were culturally bound. 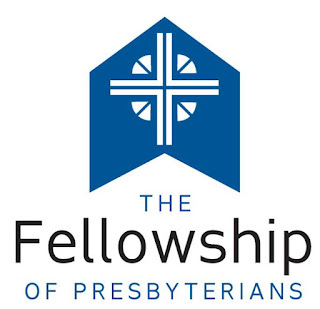 If a church is an official member of the Fellowship of Presbyterians it's part of the covenant it has with the Fellowship to complete the Narrative each year for peer-to-peer review with the congregations they are together with in a mission affinity group. 1. How has the Holy Spirit been evident in your congregation in the past year; through conversions, growth in the fruit of the Spirit, or other transformational experiences that make disciples of Jesus Christ? 1. Politically charged and divisive denominational statements. 5. The Authority of Scripture. 6. Whether Confessions should be ignored/changed. 7. The Vital Role of Confessions in the Church. The Summer Gathering of the Fellowship of Presbyterians and the Covenant Order of Evangelical Presbyterians officially began in Atlanta this evening at Peachtree Presbyterian Church. It's also one of the many congregations leaving the Presbyterian Church USA, a number that is growing rapidly by the moment. What Happened To That Song That I Used To Know? Sometimes there's a song that is a song for the moment. A song that has that right mix of quirky music and infectious lyrics that invades your skull and stays there like that old roommate you had when you were in college, the one that never paid rent and occupied your couch watching SportsCenter and Jerry Springer for a whole semester, while you were trying to write that paper on Herman Melville's Billy Budd for that weird professor who thought that every truly American story about "men and fish" had gay undertones. Sometimes there's a song. 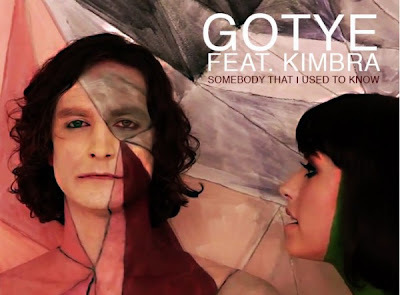 And I'm talking about Gotye's "Somebody That I Used To Know" here, that gets played on the radio roughly three hundred times an hour, and somehow you can't shut it off when it's playing no matter how much you think you want to. Instead, you find yourself singing along at the top of your lungs in the car, making up the lyrics that you can't understand as if you know exactly what they are. In the first installment of the sermon series that I am currently preaching, entitled "Hot Button: Grace-Filled Responses To the Things That Divide Us," I preached on Abortion. I was fairly certain that it was the most difficult and challenging sermon that I had ever preached. The official title of this sermon is: "Being Human: A Grace-Filled Response to Issues of Sexuality." I should have renamed it: "What the (Bleep) was I Thinking?" Seriously. Who preaches on sexuality? Willingly. Christians usually don't talk about these issues on Sunday morning---or at all. Unless, of course, they are condemning someone for sexual sin or protesting too much over their proclivity of choice so that no one will ever wonder whether they themselves are sinning up a storm. Hot Buttons - Week Two: "God is Green"
This week I'll be continuing the sermon series entitled, "Hot Button: Grace Filled Responses to the Things That Divide Us." The premise behind this sermon series was to actually talk about some of the more difficult and divisive issues in our culture, and to do it through a Biblical lens, with a whole lot of grace. As I said last week, I need a lot of work in this area, just as much as anyone else I suppose. I am also aware that not everything I say will be received with the same grace within which I am hopefully offering it. Herein lies the dilemma for most preachers: Say what God has laid on your heart to say, and surrender the outcome, or keep sticking your finger in the air to test the winds of disquiet that might be blowing from that one person who probably doesn't like you anyway and will take half of what you said out of context, and misrepresent it. Hot Buttons Week One: "Choosing Life: A Grace-Filled Response To Abortion"
When I announced that I would be preaching a sermon series on some culturally relevant issues that divide us, a few people who I know and trust asked me if I had gone mad. Admittedly, preachers usually don't preach on issues like Abortion, True Religion, the Environment and Sexuality unless they are fairly certain about the outcomes of their sermons. To put this another way, they will only preach on these kinds of things when they know that virtually everyone (or at least the biggest donors) in the congregation will agree with what they have to say. Some call this "preaching to the choir." The trouble is, choirs are typically full of people with differing views on these and many other issues. And you don't want to make the choir mad. Trust me. "Why would you willingly preach on this stuff?" someone asked me recently. "Because I feel like I am supposed to," I replied. "Better you than me," they said.